Opening the same day as Angelina Jolie’s Unbroken, and carrying the same self-importance and baggage, American Sniper is the unambiguous biography of real-life war hero Chris Kyle, at one time referred to as the “most lethal sniper in US history.” Bradley Cooper has bulked up for the role, and plays him with a wrecking ball stubbornness not unlike Unbroken’s war hero Louis Zamperini. The difference being that Zamperini had no escape route; he was forced to endure unending cruelty at the hands of his enemies. Kyle not only volunteered to join the Navy Seals before 9/11, but went back to serve four tours of duty, as service and killing become an addiction for him. Clint Eastwood, as a director, shares many similarities with John Huston. He keeps pumping films out, and in his latter years, seems more scattershot than in his early days. This is not to say he was a better filmmaker when he was younger, in fact, he had more lows in the early days than peaks– from 1980s uneven Bronco Billy to the misguided Firefox and curious Honkytonk Man through the lackluster Dirty Harry Sudden Impact — before finally getting his mojo back with his 1985 remake of Shane, Pale Rider. Since then he’s pinged back and forth from near perfect classics like Unforgiven to curiosities like Midnight in the Garden of Good and Evil and Space Cowboys. He even created a fictionalized account of John Huston’s filming of The African Queen with White Hunter Black Heart, so even Eastwood saw and admired his similarities with Huston. And at 84, director Eastwood shows no signs of stalling out. He is, however, back to alternating wildly from half-baked headscratchers like J. Edgar and Jersey Boys and now American Sniper. The latter is far superior to the other recent entries, but is still quite flat compared to the sure-footed direction of Million Dollar Baby, Flags of Our Fathers, and perhaps his greatest film of all, Changeling. So why is American Sniper so flat? It’s not that the action scenes aren’t well directed, they are every bit as nerve-wrenching as his best work; in fact, unlike Flags of Our Fathers and Letters from Iwo Jima, Sniper plays more like a western than a war film, something Eastwood is more adept at helping than any other genre. Perhaps it’s the very cliché tropes that Sniper embraces from the Western; the monosyllabic protagonist who only wants to protect his brothers, do a good job, and protect (the town) his country, and the “nagging wife,” much like High Noon’s Grace Kelly, pleading with him to stop taking unnecessary risks; to throw down his badge and stay home. Or perhaps the weakness of the film goes back to the uneven structure, the script and story’s complete loss of a third act. The extended first two acts and completely absent third act seems to be a troubling trend in Hollywood. Unbroken’s protagonist has a late in life change in his spirituality and belief system, which happens off camera and in an extended post script. Into the Woods spends so much time dwelling in the world of its first act’s “fractured fairy tale,” that Act Two stands in for a “tying up of loose ends” and slapdashes a conclusion too hastily. 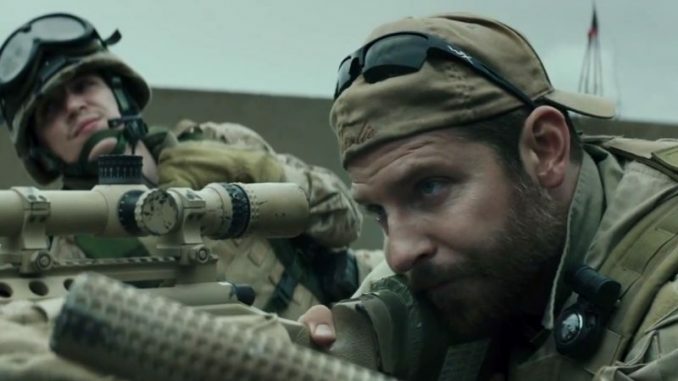 And American Sniper, based on the autobiography by Kyle, has a very powerful, in fact — profound, final act to tell — that again — is thrown away as a post script and much like Unbroken, relegates the “irony of the story” to real news clips and footage over the credit roll. 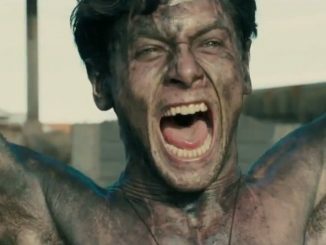 It’s very rare that a real life story offers up irony and a message that we can all take away with us, yet both Zamperini and Kyle’s stories have that third act revelation built in, and for some reason, has been swept under the rug by their filmmakers. If you don’t know Kyle’s story and how it ends, (as I didn’t until seeing the film), don’t research it. Go see the film completely fresh, and then circle back to see if you think the end is not only undeserved, but foreshadows throughout the film (as if we all know how it turns out) , not by telling a well-balanced story, but by a less-than-implied revelation with the filmmaker injecting “importance” in every moment, including the cliché benign ones, (the meet-cute with the future wife, the montage of courtship, and the phone calls home from the battlefield) to telegraph, so very loudly, that all of this is less important than the “BIG ENDING.”In fact, any storyteller worth his/her weight will work backwards from the ending. And Chris Kyle’s story has such a profound ending, there’s a different and better story to tell by working from the end back. There’s inherent drama and conflict and profundity to that story, that is wasted with Eastwood and writers choosing to reveal, again, in postscript. The beginning of the film follows Kyle’s tough love upbringing, and his preternatural ability to hit a bulls-eye from any distance, especially a moving target. He goes from bronco busting to joining the Seals upon watching the news and hearing about the bombing of US Embassies in Dar es Salaam and Nairobi. After the typical montage of merciless bootcamp, he meets Sienna Miller (repeating her performance as a harrowed wife from Foxcatcher) and they start a quick, blissful romance. In fact, it’s during their wedding reception that he and his Navy Seal buddies learn they are going to be deployed to Fallujah. Thus begins Tour of Duty Number One (they are all numbered). Kyle’s razor sharp accuracy has become something of “legend,” and it seems what gets to him the most are the brothers-in-arms who are wounded or die all around him as his ability to take out the enemy still doesn’t seem to keep all his comrades safe. Each time he returns home, he becomes more like a military machine turned off, sitting and seething and waiting for his next call to action, and less like the man Miller married. Word of Kyle’s incredible kill ratio has become so well known, that the Iraqis have created something of their own version of Kyle, a counter-sniper who seems as good as Kyle; and much like the Roadrunner and Coyote, these two professionals are always on the lookout for the other. Within the last half hour of the move, Kyle is finally in a situation that looks like a complete no-win scenario, with an impending sandstorm on its way, and bad intel putting Kyle and his team at the greatest risk, in the most exposed of locations. It’s in this final firestorm that it would seem Kyle is done for. Here, Eastwood’s assured hand kicks in and we finally feel concern for Kyle, he seems to realize now that the gifts of family and home could potentially be greater than the victory of war. Could it be too little too late? If this movie is based on an autobiography, doesn’t it mean our hero survives to tell the tale? There’s always that small comfort (much like Unbroken) in the knowledge that the hero has to survive, since this is based on his own story. And therein lies the great profundity of this story that is so tossed away. It’s in fact, a kick to the crotch when the final credits roll and you realize how much of the film has been a placeholder and time-filler for the conclusion that deserved a third act to fully investigate the motivations of the protagonist, and those around him. Given that, to some, the ending of a story is the most important element; leaving the viewer with a fully-formed, three act structured tale to meditate and discuss over, American Sniper resoundingly fails. If, as a viewer, you are more intrigued by the moment to moment scenes and action, you will probably enjoy the film. 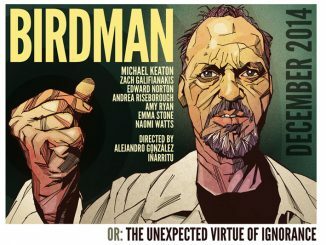 As a fan of Eastwood’s direction (aren’t those directors who soar so high and fall so far, the most interesting?) I will always go see his work, but will be frustrated and hungrily curious to know what allows such a gifted artist to sometimes misstep in what would, outwardly seem, the most simple of story plotting. For every Outlaw Josey Wales, there’s The Rookie. And for every High Plains Drifter , there’s The Bridges of Madison County. It would seem that Chris Kyle’s accuracy is much more reliable than Clint Eastwood’s success ratio. But when he does connect, it’s a bonafide bullseye. American Sniper opened in limited release on December 24th, and will open wider on January 16, 2015. 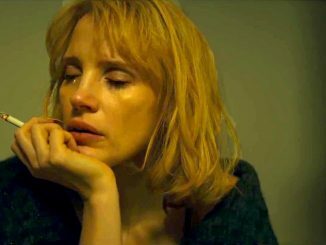 For Your Consideration is a new feature that rounds-up and reviews late year entries that will probably hold some Oscar contention.